But that very principle could be dismantled in the latest chapter of an all-out legal battle that began as a local dispute over a locked gate in San Mateo County. Unwilling to back down, Khosla is now appealing to the U.S. Supreme Court over his right to shut out the public. His latest argument not only challenges the constitutionality of the Coastal Act — if taken up by the nation's highest court, it would put into question long-established land use procedures and any state's power to regulate development anywhere. Ralph Faust, who was the commission's general counsel from 1986 to 2006, said said a striking difference between the Nollan case and Martins Beach is that Khosla is challenging the Coastal Act "as written, not as it's applied." Nollan applied for a permit but didn't like the stipulations the commission required, so he challenged them, Faust said. Khosla is skipping that step altogether and arguing that the requirement to seek a permit — as well as the state court injunction to maintain the status quo of keeping the gate open while the matter is being decided — violates his rights as a property owner. "That's a pretty stunningly broad attack on state government," Faust said. "If he were to win on that and just get a declaration that the Coastal Act could not possibly be constitutionally interpreted to require a permit for that kind of development — that would be just huge." The Nollan case unfolded in unexpected ways and to this day affects the way access rights are argued and how land should be set aside for the public, Faust said. Should the Supreme Court take up Khosla's appeal, the implications are beyond imaginable. "Just because you think you know what the situation is when you're talking about a case, doesn't mean that's how it's going to look if the Supreme Court actually decides something," he said. "These things take on a life of their own." The water district is appealing the Humboldt County Planning Commission’s January approval of the project, claiming it has the potential of contaminating drinking water for 88,000 county residents because of its proximity to one of the district’s water pumps on the Mad River. This month, the boards and city councils for all seven of the water district’s municipal customers — Eureka, Arcata, Blue Lake, and the McKinleyville, Manila, Fieldbrook-Glendale and Humboldt community services districts — voted to support the appeal. When the appeal will go before the Board of Supervisors is up in the air. County Planning and Building Director John Ford said that there is no date set for the appeal. 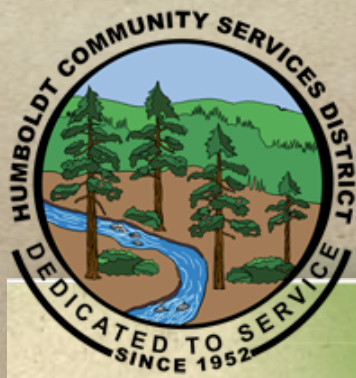 Last night, the Humboldt Community Services District voted 3-1 (with Frank Scolari opposed and Alan Bongio abstaining) to support an appeal by the Humboldt Bay Municipal Water District of a zoning change adjacent to the Mad River that would allow a cannabis manufacturing plant near the wells that supply drinking water to 88,000 residents. HCSD purchases drinking water from the HBMWD, and distributes it to customers in Cutten, Mitchell Heights, and other neighborhoods just outside Eureka city limits. HCSD is the fifth drinking water supplier to support the appeal, following Eureka, Arcata, Blue Lake, and the McKinleyville Community Services District.